Cinco de Mayo is a good time to look at some of the accomplishments of the many Mexican-born players who have played in the major leagues. Going into this season 112 players from Mexico have made it to the major leagues, beginning with Mel Almada who first appeared in a game with the Boston Red Sox on September 8, 1933. Almada, a left-handed hitting outfielder from Huatabampo, played seven seasons and finished his career with a .284 batting average. As of Cuatro de Mayo there are seven Mexican-born players currently in the major leagues: Luis Ayala with the Baltimore Orioles, Alfredo Aceves with the Boston Red Sox, Luis Mendoza with the Kansas City Royals, Marco Estrada and Yovani Gallardo with the Milwaukee Brewers, and Jaime García and Fernando Salas with the St. Louis Cardinals. All of these players are pitchers. Pitcher Rodrigo López started the season with the Chicago Cubs but they designated him for assignment on April 23 after he got off to an 0-1 start with a 5.68 earned run average. Several Mexican-born players performed well in the big leagues. Aurelio Rodriguez, from Cananea, appeared in more games than any other Mexican-born player. From 1967-1983, Rodriguez played in 2,107 games, mostly with the Detroit Tigers. Although Rodriguez hit only .237 in his career, he was an exceptional defensive third baseman. He won a Gold Glove Award in 1976, breaking Brooks Robinson’s 16-year hold on the honor. Ricardo Rincon, from Veracruz, appeared in more games than any other Mexican-born pitcher. Rincon made 565 appearances, all in relief, from 1997-2006 and 2008; he made stops in Pittsburgh, Cleveland, Oakland, St. Louis, and New York with the Mets. He finished his career with a 21-24 record and a 3.59 ERA; he had 21 saves. Aurelio Lopez, from Tecamachalco, has the most saves by any Mexican-born relief pitcher. Lopez, known as Señor Smoke, appeared in 459 games and had 93 saves. He was 10-1 with 14 saves for the World Champion 1984 Detroit Tigers. Perhaps the best known Mexican-born player is pitcher Fernando Valenzuela from Navojoa. Valenzuela took baseball by storm in the early ‘80s with the Los Angeles Dodgers. He won his first 10 major league decisions and started the 1981 season 8-0, filling Chavez Ravine with “Fernandomania” each time he pitched. Valenzuela won both the National League Cy Young Award and Rookie of the Year Award in 1981. He won more games than any other Mexican-born pitcher. Over 17 seasons, Valenzuela won 173 games and pitched 31 shutouts. 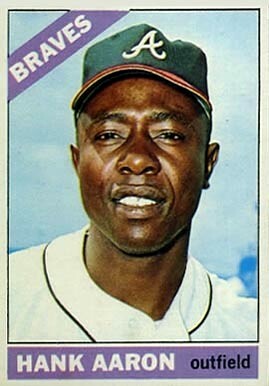 He was also a fairly good hitter; he hit 10 home runs and he had a career batting average of .200. Bobby Avila, from Veracruz, is the only Mexican-born player to win a batting title. He led the American League with a .341 average in 1954 while playing for a Cleveland Indians team that won a then-record 111 games. Avila finished third in the voting for the Most Valuable Player Award that year behind Yogi Berra of the New York Yankees and Cleveland teammate Larry Doby. Vinny Castilla, from Oaxaca, hit more home runs than any other player from Mexico. He wrapped up his career in 2006 with 320 homers. Castilla is also the only Mexican-born player to lead the league in runs batted in. He drove in 131 for the Colorado Rockies in 2004 to lead the National League. Castilla started his career with the Atlanta Braves in 1991 and went to Colorado in the expansion draft of 1992. 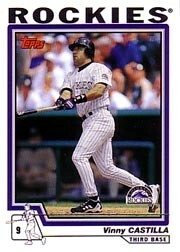 The light air in Colorado agreed with Castilla as he averaged 38 home runs, 112 RBIs, and a .302 average from 1995-1999. He hit 46 home runs and drove in 144 runs in 1998, which represent the highest seasonal totals by a Mexican-born player in both these categories. He also scored 108 runs and hit .319 that season. May 5, Cinco de Mayo, is a significant day in the history of Mexico. It is not, as many believe, the Mexican Independence Day. According to the History Channel (history.com/topics/cinco-de-mayo), Mexico declared its independence from Spain on September 16, 1810. Cinco de Mayo commemorates the Battle of Puebla, in which 2,000 Mexican soldiers defeated 6,000 French troops at Puebla, Mexico in 1862 (150 years ago) during the Franco-Mexican War (1861-1867). The Battle of Puebla was not a major win for Mexico in their war against the French, but it bolstered the Mexican resistance movement. Six years after the battle, the United States had wrapped up its Civil War and finally was able to aid the Mexican resistance and the French withdrew. Mexico captured and executed Austrian Archduke Ferdinand Maximilian, whom Napoleon III had installed as emperor of Mexico in 1864. For some reason, Cinco de Mayo has become a good excuse for many Americans to celebrate and drink lots of alcoholic beverages. I prefer to spend Cinco de Mayo thinking back on the likes of Almada, Avila, Valenzuela–and Señor Smoke. 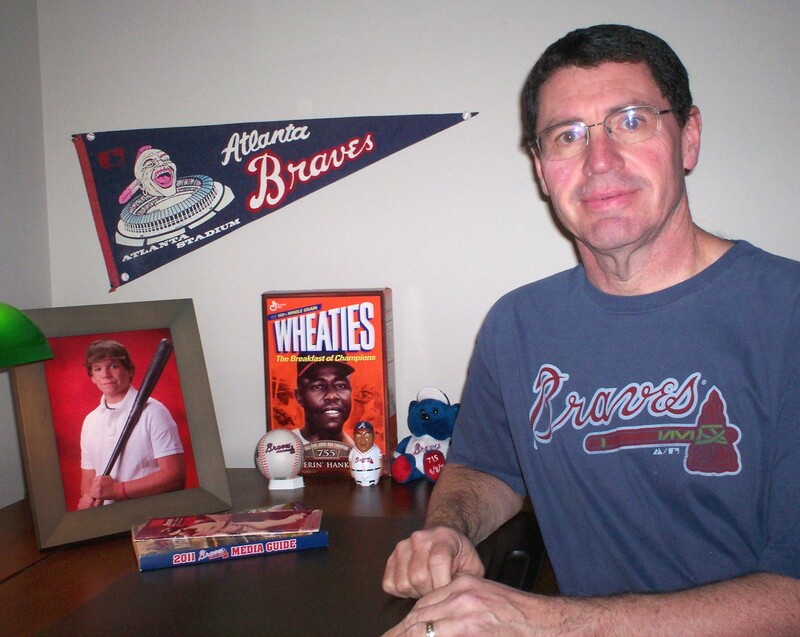 Baseball and history… two great interests in the same blog! Thanks. I probably should have credited my father-in-law for some of the Cinco de Mayo history. Something tells me I’m going to be reading about four-homer games next Saturday morning!